How many years have you been a wedding photographer and how many weddings have you photographed? Toni Bailey and Mike Dubnoff have been a wedding photographers for over 15 years. 1,000 weddings total and over 400 at San Francisco City Hall! How does a typical city hall wedding photography coverage work? Do you take our photos before or after the ceremony? We normally like to meet you before the ceremony by the clerks office to assist with your check-in and answer any last minute questions. Then we accompany you into the clerks office when you check-in and take a few photographs of that process. We also get shots of the signing of the license. Then we photograph your ceremony, take family photos and then take the two of you around city hall. It seems to work best to do your photos after the ceremony, but we are flexible and will alter our normal process to suit your needs and timing. We like the sound of your San Francisco city tour package, but don't know the city, what should we do get to the various locations? No problem! Both our Enchantment and Charm Packages include comfortable transportation at no additional charge. We are eloping and getting married at San Francisco city hall, but we are also on a tight budget. Do you have a package for us? Our City Hall package is the lowest priced and provides 1 hour of coverage. It's perfect for elopements! We don’t know how to pose for wedding photos, will you be posing us? My style is very easy going and I will help you feel comfortable in front of the camera. I do not over pose my couples. Instead, I start with an easy pose, give some suggestions, and then let things flow naturally from there. Please visit our wedding blog for our photography style. What types of cameras do you photograph with? We photograph with Nikon DSLRs and a full set of lenses ranging from 20mm to 200mm. Do you use lighting equipment or are you a natural light photographer? We use lighting equipment as well as natural light. When we do use lights at city hall, we keep it very simple. Our lighting equipment consists of a tripod with an umbrella and remote flash. How soon do we get to see our pictures? Your proofs will be ready to view 3 weeks after your wedding day. We will provide a secured password protected private online gallery of your photos for you to view that you can share with friends and family. USB, DVD, or digital transfer. Whichever works best for you! Cash, check, or credit card via a secured online site. As soon as I receive your contract and deposit of $350, the date is yours. Each couple and ceremony varies, there is no exact number. 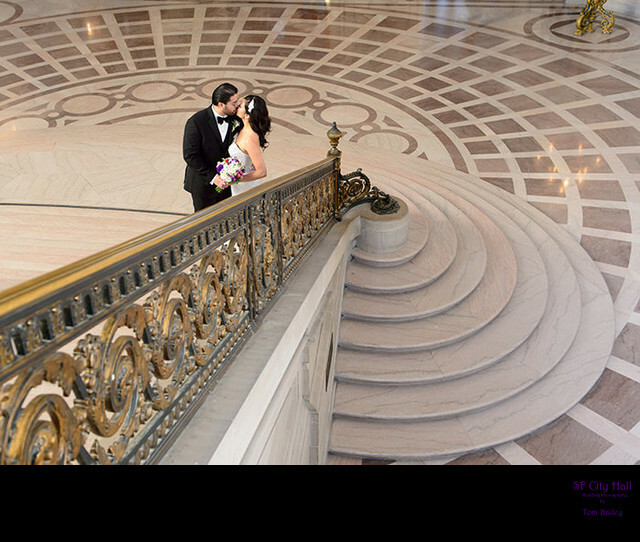 But you will receive as many photos as it takes to tell the story of your San Francisco City Hall Wedding. We offer Epoca Albums of the finest quality. Please see our wedding album page. I often do photograph with an assistant photographer. I don’t live in San Francisco, can we still meet? Skype to the rescue! We can set up a time to Skype if you would like. We are currently updating and adding to our frequently asked question page with new and more detailed information. 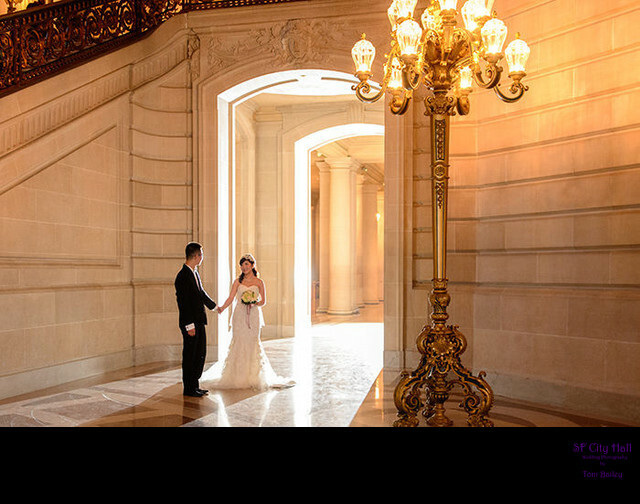 In the meantime, please feel free to email us with any additional questions about your San Francisco City Hall wedding. We are happy to help you even if you don't book us to be your city hall wedding photographer!